I missed Nigella Lawson’s Forever Summer series the first time it was shown on television, but have caught the repeats on UKTV Good Food this summer. 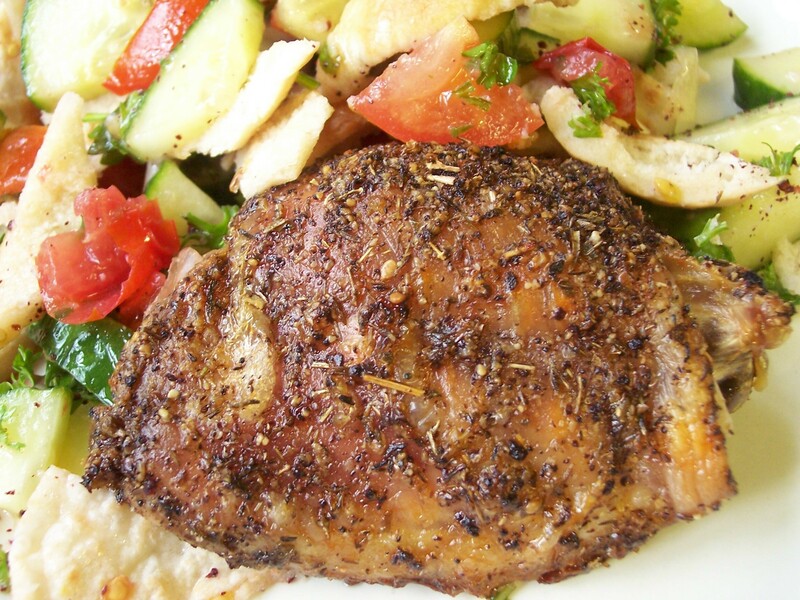 Za’atar chicken is lovely for a hot summer day. It needs some advance preparation but can simply be popped in the over to cook when required. 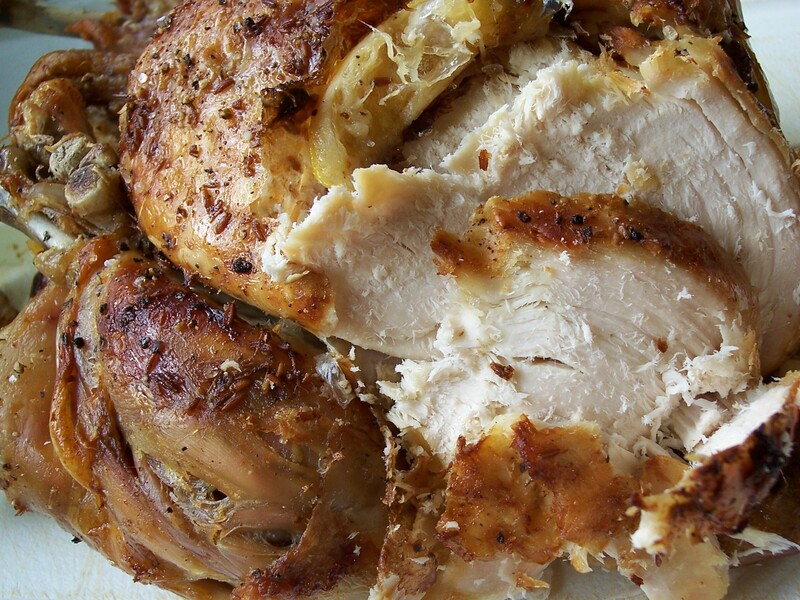 The chicken is amazingly moist and delicious … need I say more! Nigella suggests serving Za’atar Chicken with Fattoush, a North African/Middle Eastern salad containing toasted pitta bread, which I have already posted. It is a wonderful combination of flavours and both are recipes I shall be making again and again. 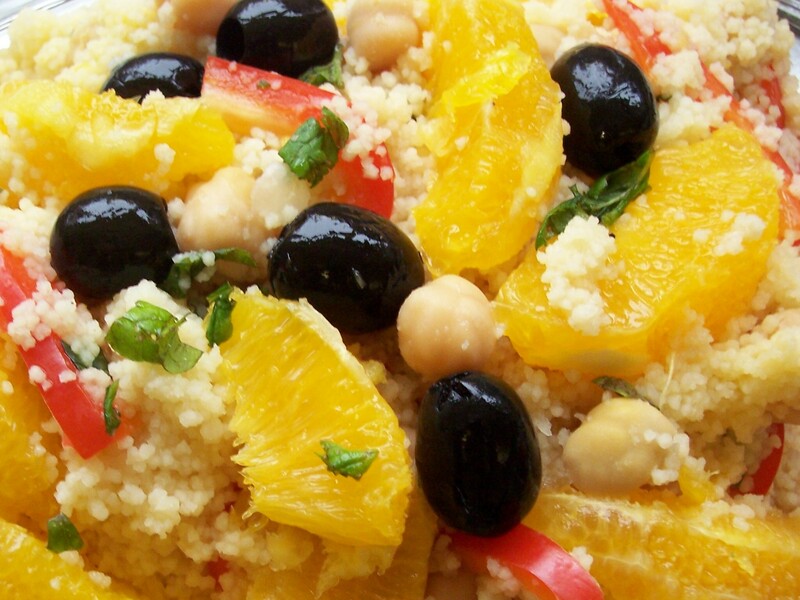 Coriander & Chickpea Couscous Salad could be served as an additional dish if needed. 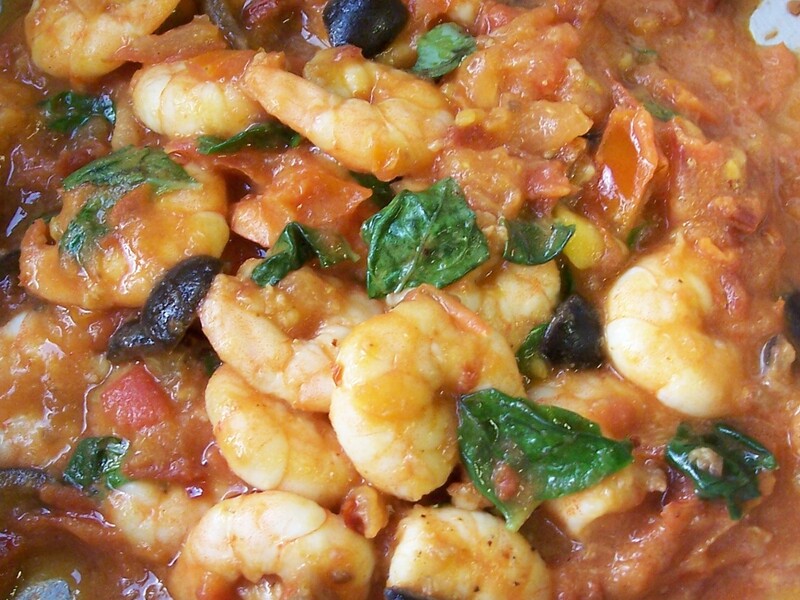 The recipe can be found in the book of the series, Forever Summer by Nigella Lawson. This recipe was part of the ‘Amber’ TV programme: each episode is named after a colour, with the recipes fitting each title. Clever, although the book is more traditionally laid out. I am sure that this recipe could also be cooked on a Barbecue, although I have not tried it (suggest a brief pre-cook in the microwave before barbecuing to make sure the chicken is thoroughly cooked). I did some research and found a recipe for Za’atar mixture and made my own as I had all the ingredients in the cupboard. Za’atar Spice Mixture (click for recipe already posted on this site) is simply a combination of roasted sesame seeds, sumac, thyme, oregano and salt. It is aromatic and definitely not spicy, the sumac giving it a lemony flavour. I have chosen to be more generous with the Za’atar mixture as we love the flavour. I used the chicken thighs suggested in the recipe but the Za’atar Mixture would be good, I’m sure, liberally spread over a whole roasted chicken. 1. Remove the skin from the chicken pieces if you wish before marinading. Place the chicken in an ovenproof dish or tin. 2. Spoon over olive oil and za’atar mixture. Turn pieces in the dish so they are well covered. Season and cover. Alternatively the chicken pieces can be placed in a large plastic bag with the oil, za’atar mixture and seasoning. 3. 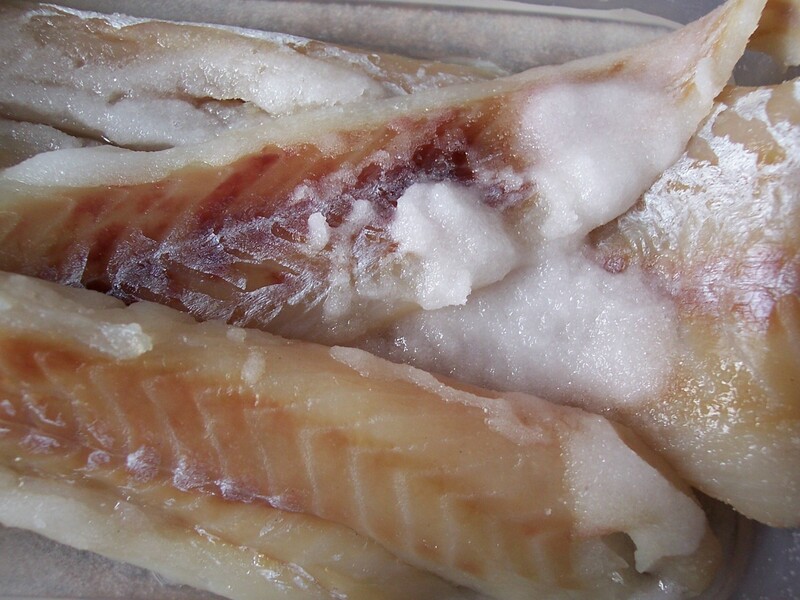 Place in the refrigerator for several hours or overnight. If using a china dish then remove from the fridge and bring up to room temperature to avoid breakage. 4. Preheat the oven to 220oC/425oF/Gas 7. Place the dish in the centre of the oven, covering for about 20 minutes, then removing the cover and cooking for 35-45 minutes in total, or until cooked through to the bone. 5. 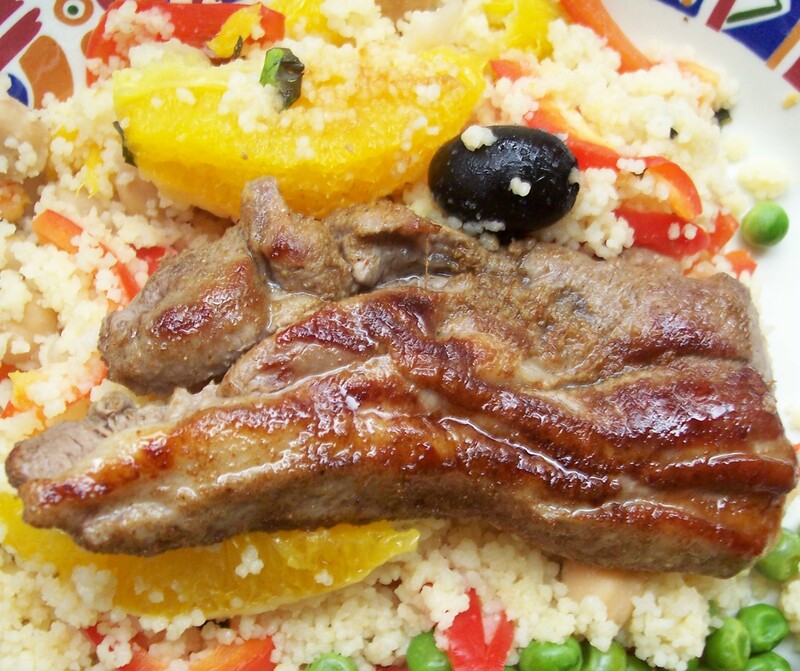 Serve with Fattoush Salad and possibly with Coriander & Chickpea Couscous Salad as an extra. 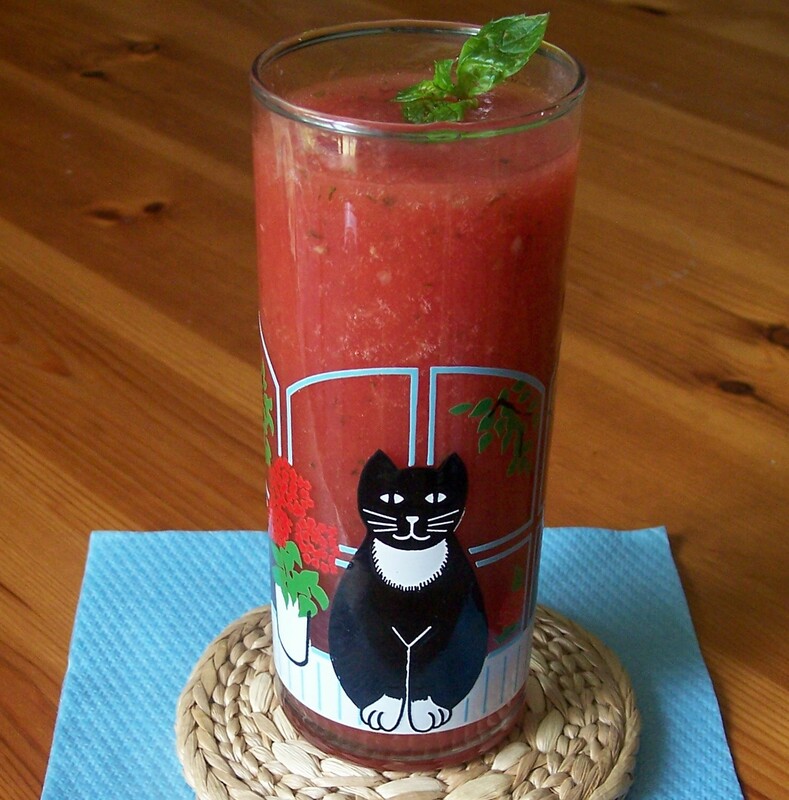 Sometimes a recipe that I just have to try pops into my Inbox from one of the sites that sends me regular updates. A trip to the supermarket shortly after I first saw this recipe and I had a attractive jar full of feta cheese waiting for me to try. I had to be patient and do as the recipe suggested, but as soon as the week was up I ‘dived in’ – and was not disappointed! 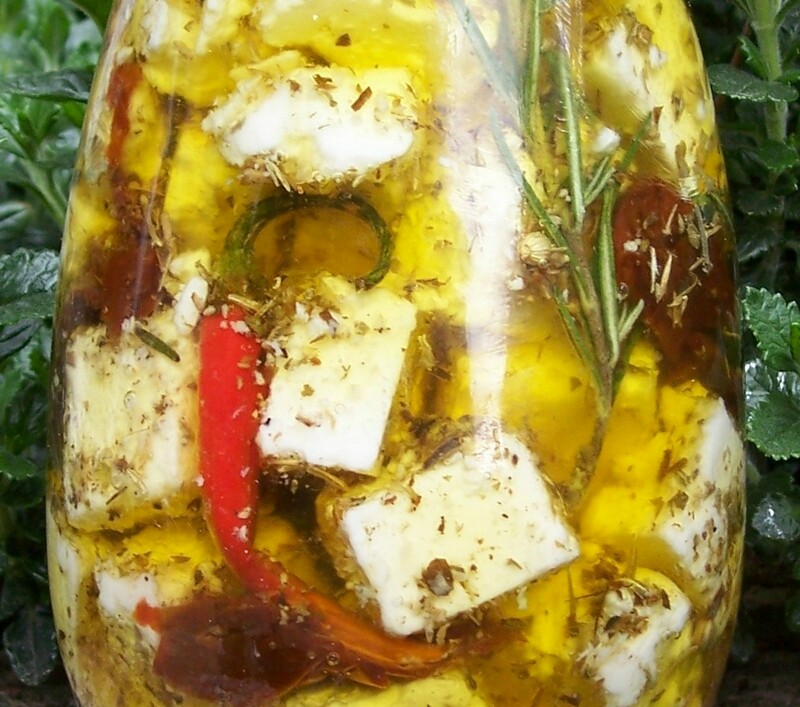 So, thank you to my UK Food Bloggers fellow member, Nic at Cherrapeno for her recipe: Make your own Marinated Feta. Of course, we all adapt and amend recipes to suit our own tastes. The ingredients below are for my own version, adjusted to complement the size of block of feta cheese available locally, but with some other ‘tweaks’ too. I love olives so added some to the second jar I made and will definitely add them again. I halved the number of chillis as I did not want to spicy a flavour. The oil is delicious too so don’t forget to mop up the puddle on your plate with some of the crusty bread you serve alongside. I would definitely serve this as a starter, along with some other marinaded items, such as mixed peppers. I have tried making this with the cheaper feta type cheese you can buy, which is usually called something like ‘Greek style salad cheese’ and it is fine, though for entertaining I would definitely splash out and buy real Feta. Only problem with this recipe is that the jar doesn’t last long enough! 1. Drain the whey from the packet of feta and pat dry with a paper towel to remove the maximum amount of liquid. 3. Place the cubes in a bowl. Sprinkle with oregano, crushed coriander seeds and black pepper. 4. Cut the tomatoes into three our four pieces each. 6. Gradually fill the jar with the cubes of cheese, the pieces of tomato and the olives, poking in the chilli and sprigs of rosemary from time to time so all the ingredients are fairly evenly spaced through the jar. Make sure that all the herbs in the bowl are included as well. 7. Pour in a little oil from the sun dried tomatoes (about 2-3tbsp) and top up with extra olive oil as needed. The ingredients need to be fairly tightly packed with the oil filled to the brim. 8. Seal the jar tightly. Refrigerate for 1 week before using. (The marinaded feta will keep for 6-8 weeks in the fridge). 9. 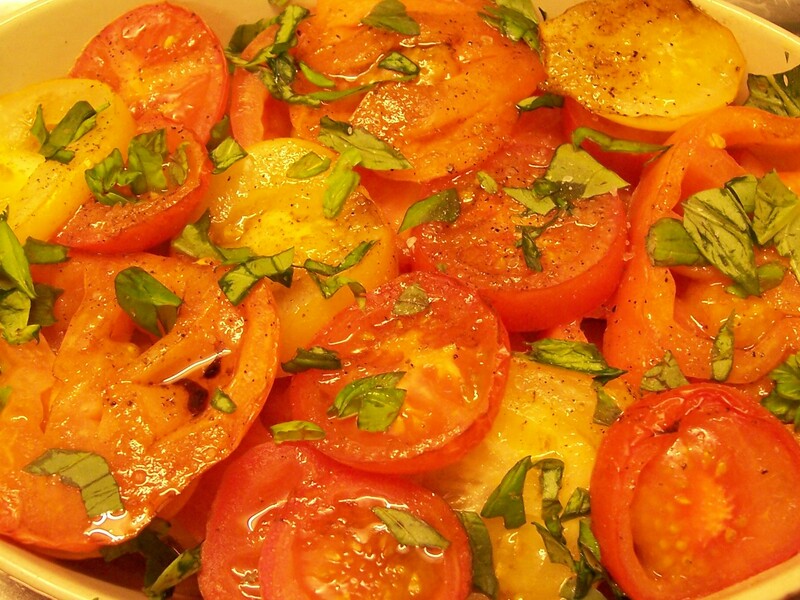 Serve at room temperature for lunch or as an starter. This would also make a good culinary gift. I have used the excess oil and chilli as a starter for the next jar and I think this could be done two or three times, before needing to start again from scratch.